President-elect Donald Trump is right about the super-expensive F-35. Not only is the plane very costly per copy and even more to keep it flying, but it is a very big bet on a single platform. If it does not pan out as an effective fighter, the US will be left only with worn out airplanes for the foreseeable future. Thus the $1.5 trillion gamble is a big one: too big in fact to be acceptable. That is why Israel tried to find an alternative, and thought they may have found it in the proposed Boeing F-15 Silent Eagle. The Silent Eagle would have been significantly cheaper than the F-35, would have had stealth features, and would have allowed Israel to use its existing logistics and support system for the aircraft. Back in November, 2015 I wrote about Israel’s interest in the Silent Eagle. In fact it was Israel’s interest that prompted the Obama administration, normally hostile to Israel to push for sending the F-35 to Israel as quickly as possible. Obama’s Pentagon, supported by Lockheed made concessions to Israel on access to the F-35’s secrets so that Israel would accept the airplanes –the first two of which recently arrived in Israel (having been delayed for six hours by fog in Italy). Our allies –including the UK and Italy, do not have nearly the access to the on-board systems of the F-35 as does Israel; moreover, Israel jettisoned the all-controlling so-called logistics system that comes with the airplane, and were able to pull that off. The logistics system of the F-35 is really a political control system. Clearly Israel would not allow itself to depend on the vagaries of a US administration, especially one such as Obama’s which previously cut off supplies to Israel (including the Hellfire missile and Apache helicopter). One of the cost-saving features of the F-15 Silent Eagle is that the electronics that the US has heavily underwritten for the F-35 can work just as well in the F-15, something the Pentagon knows. There are plenty of benefits of having those systems in alternative aircraft including lower price by manufacturing more units, support across multiple platforms (easing repair and maintenance costs), and combat agility meaning that different types of aircraft can cooperate in combat. The advantage of the F-15 is that, despite the fact that it is a large aircraft, is fairly agile and can carry a large load of weapons. As a workhorse the US, Japan, Saudi Arabia and Israel the F-15 in its latest variant is an all-weather strike aircraft and air superiority platform. 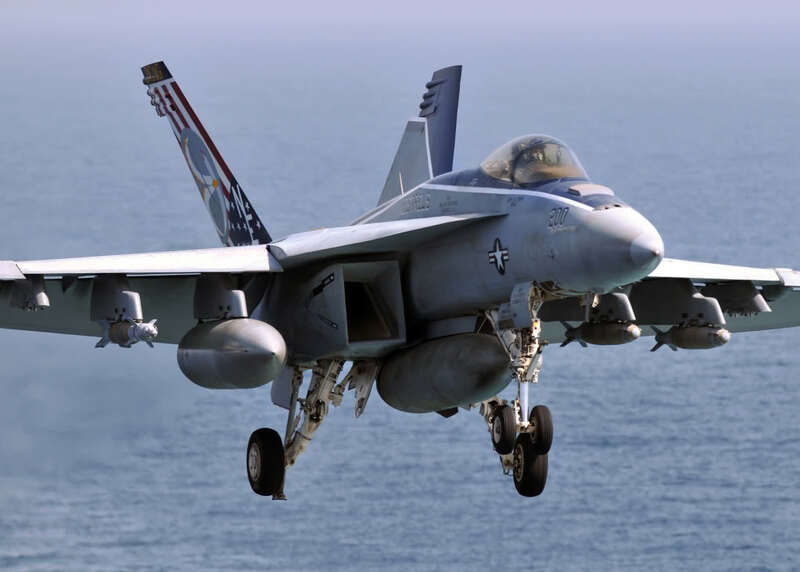 In a similar fashion, but probably without any stealth features, the F-18 Super Hornet could also benefit from the new electronics. President-elect Trump has recommended that as a way to reduce the size of the F-35 buy. Even if the F-35 pans out, it is a very expensive airplane to field in the numbers planned, currently running around three times the cost of a “conventional” F-16. For the record the F-35 (there are three variants) is intended to replace the F-16, A-10, F/A-18 and the AV-8B in the inventory, leaving the F-18 Super Hornets and the existing F-15’s in service. The AV-8B’s are the US version of the Harrier vertical take off aircraft. Congress has decided that the F-35 is an unsuitable replacement for the A-10, although questions still linger about the survivability of the A-10 against dense air defense systems. But a better argument for using F-35 technology in alternative platforms is that you enhance the performance of all these platforms and retain the ability to sustain close-in encounters. The F-35 relies almost entirely on beyond visual range weapons. After it shoots them off, the F-35 needs to be protected by other aircraft. Otherwise it will underperform against aircraft like the Russian Su-35, which is a formidable generation 4++ platform. At present the US Air Force does not seem to have a plan to protect the F-35. This is clearly a mistake, because there is no guarantee that the F-35’s long range weapons (few of which now exist) are going to be effective against sophisticated jammers and swift maneuvers, technology the Russians are paying much attention to these days. In short, the idea of the F-35 as a nearly stand-along weapon is highly questionable as a strategy for the future. Mr.Trump is right to think about alternatives not only to possibly save money but to improve the future of America’s fighter aircraft fleet.